Learn about quality outdoor lighting that reduces light pollution and its harm to the environment and how you can make a difference. Everything you wanted to know about the basic of outdoor lighting, including the different types of light and color temperature. 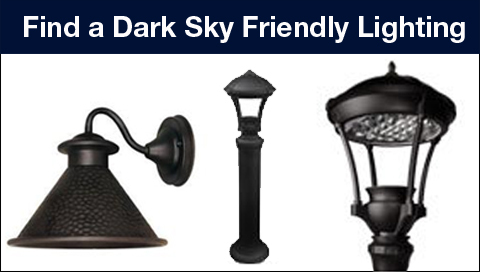 IDA maintains a searchable database [link to FSA database] of lighting products certified to minimize glare, reduce light trespass and help protect night sky. Search our database or look for IDA Fixture Seal of Approval on outdoor lighting at your local retailer. Find out if your town has an outdoor lighting law and how to get it enforced. No outdoor lighting law in our area? Learn how to advocate for one! Outdoor lighting laws are important for protecting the night sky and wildlife, enhancing safety and saving money. Learn what your municipality needs to consider when implementing an outdoor lighting plan. One of the first things that you can do to help reduce light pollution and light trespass is inspecting the outdoor lighting at your home or business to make sure it’s being used responsibly. Are your neighbor’s lights shining on your property and home? Learn how to talk to your neighbor to resolve this problem. Do you have a problem with outdoor municipal streetlights lighting up your property? Here are some tips for working with public officials to get the lights shielded. 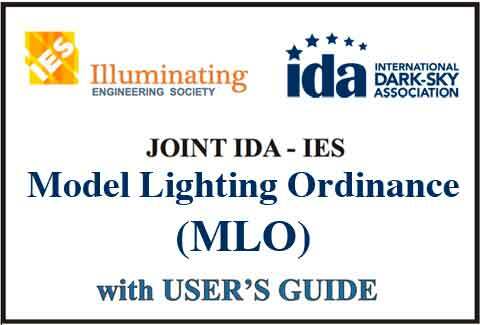 To help municipalities create environmentally friendly outdoor lighting plans, IDA has created useful model lighting laws and guidelines. IDA has developed a set of recommendations for municipalities considering the installation of LED lighting systems.